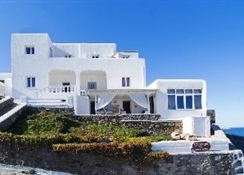 From Mykonos Airport (2.5 km away), just follow the main road towards Mykonos town, then turn left onto the coastal road. Drive southwards until reaching Megali Ammos where the hotel is situated. 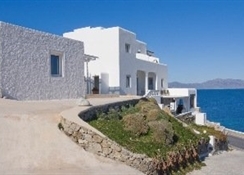 This Cycladic-style hotel is situated right over Megali Ammos Beach in Mykonos, a short walk from the scenic town centre, where guests will find numerous restaurants, bars, nightlife, shops and a bus station. Breakfast is served in the dining room that offers views of the sea, the island of Delos and Mykonos Town. 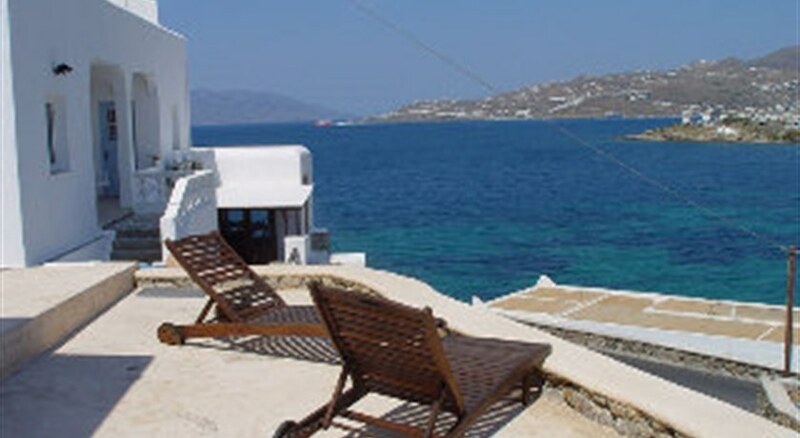 Mykonos Airport is approximately 2.5 km from the hotel. 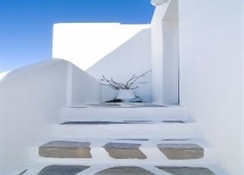 This small and cosy hotel was built in a traditional Mykonian architecture style with whitewashed walls. 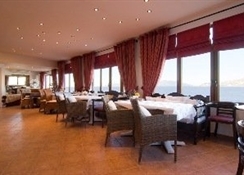 It features a breakfast restaurant, cafï¿½ and a TV lounge. The air-conditioned beach hotel offers 15 rooms in total and welcomes guests in a lobby with 24-hour reception and check-out services. 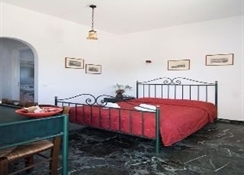 Guests may also make use of the laundry service (fees apply) and a car park.